Not since I read Khaled Hosseini’s ‘The Kite Runner’ do I remember being so enthralled and emotionally engaged with a novel as with M.L. Stedman’s ‘The Light Between Oceans’. The former book I read in a single sitting on a long train ride in Thailand, and likewise I read ‘The Light Between Oceans’ from start to finish on a plane journey from New Zealand. Indeed, I didn’t quite finish it, even when reading it in the taxi on the way back to the house, so rather than going in to greet my family after my trip away, I sat on the grass verge outside to read the last few pages first. When I then did go in, I think my two little girls were bit taken aback with the emotional welcome I gave them, fueled as it was by this extraordinary tale, set in post WW1 Australia. It concerns war veteran turned lighthouse keeper Tom Sherbourne, who lives with his wife, Isabel, on an isolated rock miles from the mainland. They struggle to have children, and when a boat washes ashore containing a dead man and a tiny crying baby Isabel thinks her prayers have been answered. However, the ramifications of the decision Tom and Isabel make that night reverberate through the following years as events become more and more entangled and desperate as the child’s true provenance emerges. I highly recommend this book – you should read it. Christmas. Such an exciting time. I can still remember the thrill of coming down on Christmas morning to find a pair of bikes parked in the lounge – one for me, one for my brother. 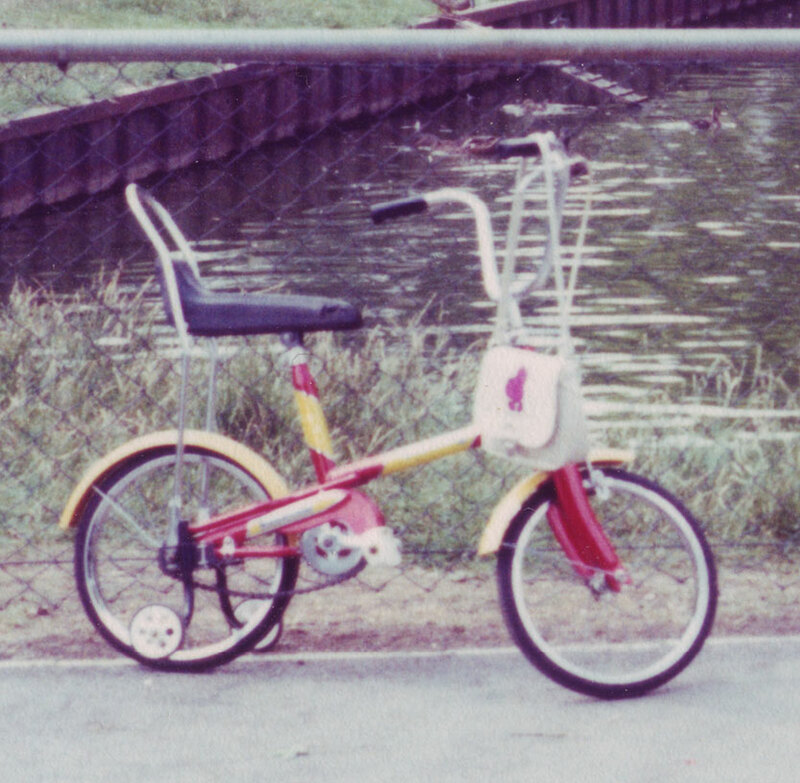 I was probably about four years old, and the bike was way to big for me – as I recall my father had to tie blocks of wood to the pedals so I could reach them. It was a Raleigh Champ, a cool red and gold affair with chopper handlebars and a banana seat. So it was with great pleasure that I was able to recreate that momentous day for my own daughter this year. She was a bit less excited about it that I remember being when she first saw it – in part because she’s a dedicated scooter rider, and never really got the hand of the balance bike (which my younger one now hares around on with extraordinary grace and expertise – it’s quite something seeing a three-year-old practically doing a track-stand on a tiny kids bike), and in part because it was clear from the get-go that her younger sister was envious, and dying to have a go. Still, she did finally give it a go, and in the end really enjoyed it, especially when I took her over the park and she could ride on a wide, flat path. Indeed, she asked to go back there later in the day to ride some more. The bike is a BYK 350, which I bought without taking Girl Chillikebab #1 to the bike shop to try out. 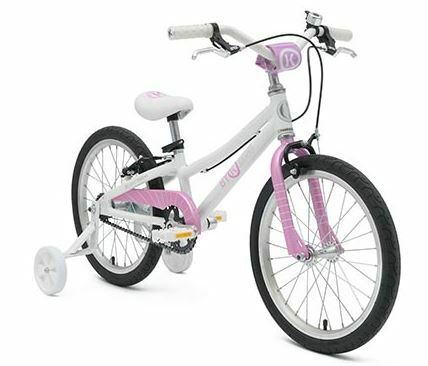 However, she’s just over a metre tall, and nearly five years old, so she is right in the middle of the range of that bike as it is advertised. However, I do have this niggling feeling it’s just a bit too big for her. Part of the reason for this is the coaster brake. When she’s on the bike, she can’t get her feet down. No a big drama; she has training wheels, so she climbs onto the seat and starts to pedal. Except that if the pedals are not the right position, she can’t. With a coaster brake, she can’t pedal backwards to get the pedal in place to start, and she can’t scoot the bike forward with a foot on the ground to get it rolling and move the pedal forward.So I have to keep giving her a push start. She pretty quickly got the hang of the regular brake levers, so I am wondering if I should somehow disconnect the coaster brake. Or even if such a thing is even possible. It was a problem I never really thought about, given I haven;t ridden a bike with a coaster brake since I was about eight. (My Raleigh Champ had just one hopeless front brake, and I survived. I even remember doing deliberate front-wheel skids on gravel with it. Kids these days are just spoiled, with their small-reach, tektro-alloy, machined-rim v-brakes…). Still, she’s four years old, and loving riding a bike that’s a bit too big for her. Such is the spirit of Christmas.